Through an order today, the Supreme Court has modified the sentence of Ansal Brothers. 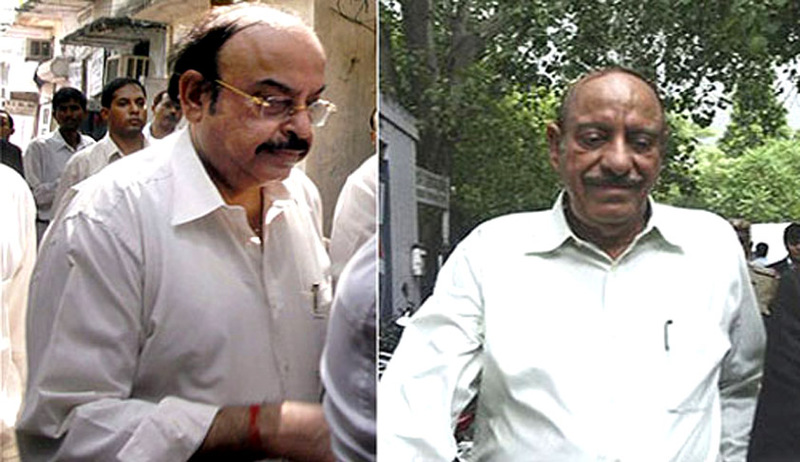 According to the new order, if Sushil Ansal and Gopal Ansal, the accused in the Uphaar Tragedy case, fails to pay Rs. 30 Crores each within three months from today, they will have to undergo the sentence of rigorous imprisonment for two more years. Three Judge Bench comprising of Justices Anil R. Dave , Kurian Joseph and Adarsh Kumar said that it is in regard to the “advanced age and the diseases from which he issuffering, and other peculiar facts and circumstances” that it reduced the punishment to the Ansal Brothers. According to this report, “earlier in its verbal order, the court had on Aug 19 said Sushil (76) and Gopal Ansal (67) should pay a fine of Rs 30 crore each within three months and restricted their jail term to the period already undergone by them in view of their advanced age”. The court also ordered that the said amount to be paid as compensation shall be used for setting up a new trauma centre or for upgrading the existing trauma centres of hospitals managed by the Government of NCT of Delhi. Another accused in the case, Harsarup Panwarwas also told to pay compensation of Rs.10 Lakh or to undergo 1 year rigorous imprisonment in default. Reacting to this modified order, Neelam Krishnamurthy, who led Association of Victims of Uphaar Tragedy reportedly told outlook “We have been saying right from the beginning that this is a case where maximum sentence should be awarded and our stand has been vindicated as the Supreme Court has awarded them the maximum sentence.But, if they are made to not serve the jail term, is it not blood money?” When asked about the age factor which led Court to reduce the punishment, she said “"They are perfectly fine to conduct their business and travel abroad but are they too old to go to jail to serve the sentence? They are partying, they play golf but why cannot they go to jail? Is it so because they are rich?" 8 years after a massive fire at a theatre in New Delhi’s posh Green Park area snuffed out 59 lives, the Supreme Court on Wednesday had let off cinema owners merely asking them to pay a fine of Rs 30 crore each to the government within three months. This decision of the Court was criticised by many. Shocked kin of victims present in the court cry out in despair “the highest court of the land has let us down. Any amount of money cannot be a substitute for lost lives” Neelam Krishnamoorthy, president of the Association of Victims of Uphaar Tragedy who herself lost her two children– 16- year-old Unnati and 13-year-old Ujjwal- was seen running out of the court weeping inconsolably the moment the bench pronounced the verdict.